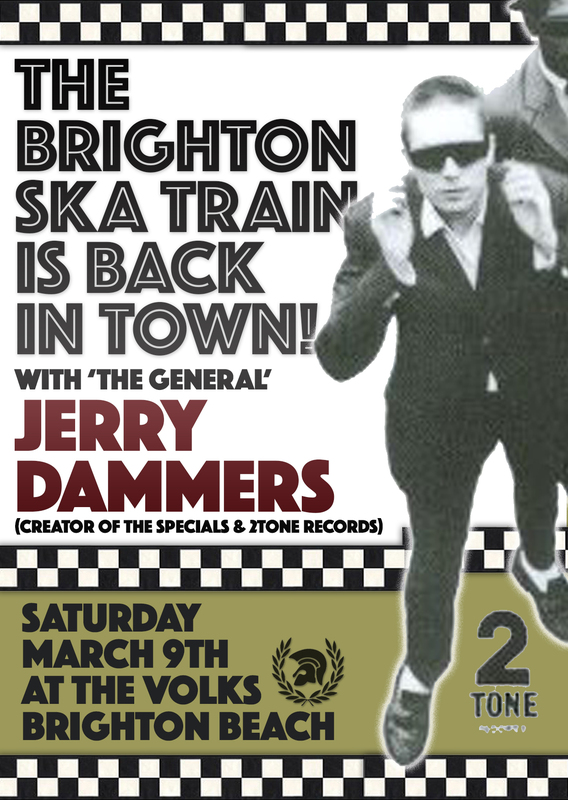 The Brighton Ska Train presents Jerry Dammers and friends! The Brighton Ska Train is back in town! For the originals! And this year we celebrate the 40th anniversary of 2Tone Records with a series of unmissable dances. Exploring the past, present and future influences of this seminal label that changed the face of British popular music and much more besides. Kicking off with our annual season opener featuring our resident legend, the mighty Jerry Dammers, the creator of The Specials and 2Tone Records himself! It's always an unmissable session when 'The General' is at the controls. Coming with a massive three hour all original vinyl dj set. Showcasing the wonderful music that inspired and continues to inspire the man responsible for the soundtrack to a generation. With anecdotes aplenty on the mic this is a session never to be missed. Support comes from the full Ska Train Soundsystem crew - taking you to skaville and beyond with two floors of the bossest sounds around. Featuring the rudest in original reggae, ska, rocksteady, bluebeat, 2Tone, a dash of punk and so much more from the likes of Madness DJ Darren Bennett, Madam Scorcher, Hot Tip Hi-Fi, Mr Natural's Champion Sound, Ian Mackenzie (Killer Ska Records), Chris Culture and guests. The Ska Train's 'Soul Cellar' will be also be in operation! Hosted by the wonderful Soul Pressure Soundsystem. Featuring Terry Hendrick, Hayley Cuell and guests with the finest soul, r&b and Motown floor fillers. Rocking from 9pm 'til 2am plus 2Tone afterparty 'til you drop! Tickets to dance are just £8 in advance! 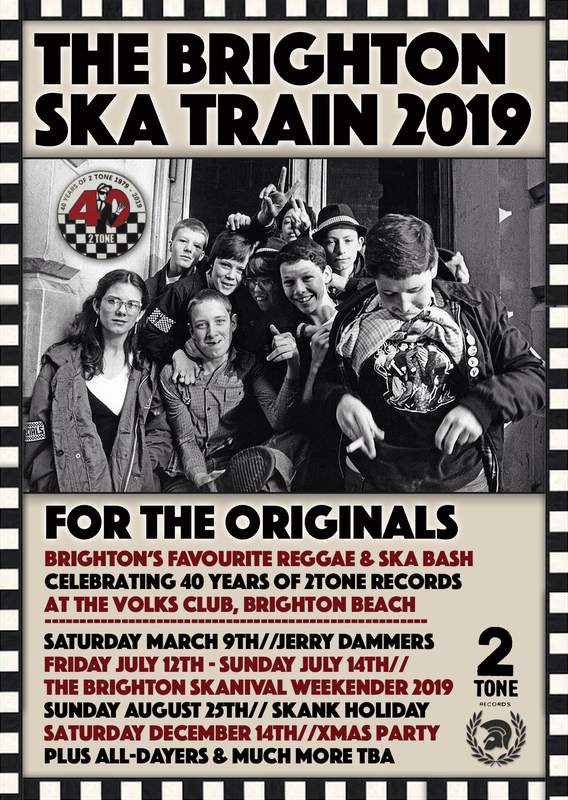 So it's with great pleasure that we invite you all onboard The Brighton Ska Train 2019! For destination good times!